Takeda’s global headquarters are in Tokyo. The company said it will move its US headquarters from Illinois to Massachusetts. Takeda Pharmaceutical Co., the Japanese drug giant that’s in the process of buying local biotech Shire PLC for $64 billion, said Tuesday that it will close its US headquarters in suburban Chicago and move to the Boston area. 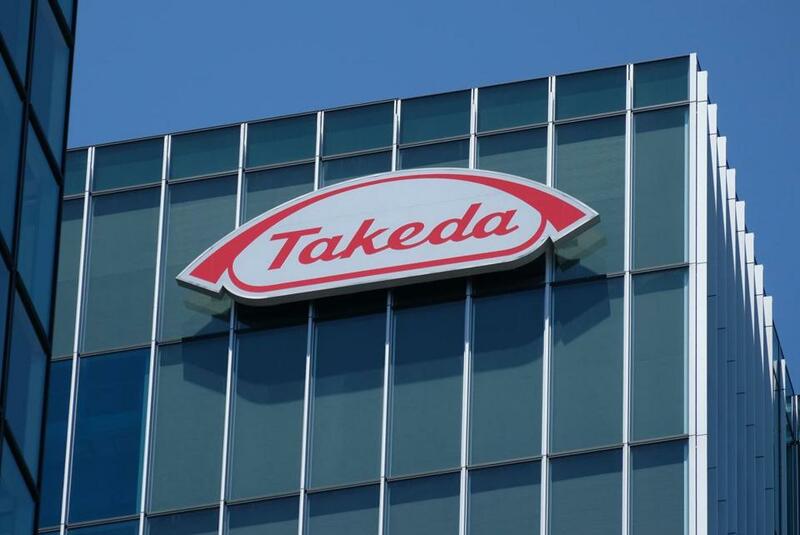 A Takeda spokeswoman said the work done by nearly 1,000 employees in Deerfield, Ill., will “progressively consolidate from Deerfield into the Greater Boston area following a successful closing” of the acquisition of Shire. That deal still needs shareholder and regulatory approvals. Takeda announced in April it would buy Shire in the largest-ever overseas acquisition by a Japanese company. Although Shire is based in Ireland, most of its operations are in Massachusetts, where it has about 3,000 employees, primarily in Lexington and Cambridge. Osaka-based Takeda hasn’t picked a site for the Boston-area headquarters, nor has it set a closing date for Deerfield, said Julia Ellwanger, spokeswoman for Takeda Pharmaceuticals U.S.A. Inc. The news was first reported Monday by Crain’s Chicago Business. Takeda said that all employees based at the Deerfield headquarters will be affected by the closing, although some will receive relocation offers. Employees should find out their status within six months of the completion of the Shire deal, Takeda said. Takeda already has a strong presence in Massachusetts, home to one of the world’s most robust life science clusters. It previously acquired two other Massachusetts biotechs, Ariad Pharmaceuticals in 2017 for $5.2 billion and Millennium Pharmaceuticals Inc. in 2008 for $8.8 billion. Together, they are part of Takeda’s oncology unit in Cambridge. The acquisition of Cambridge-based Ariad, which has a blood cancer drug on the market, brought Takeda’s head count in Massachusetts to about 2,000 employees, according to the Massachusetts Biotechnology Council, a trade group. Takeda’s deal to buy Shire is expected to sharply increase that, although some analysts had predicted that several hundred of Shire’s 3,000 Massachusetts employees would likely be laid off as a result of consolidation. Takeda said it makes sense on several levels to put the company’s US headquarters in Massachusetts. “In determining where we would locate, we’ve looked at a number of factors, including the evolution of Takeda’s portfolio, being closer to where our future pipeline is being generated, and having Takeda US business units together to provide opportunities for employees to develop their careers across our large, diverse business,” Takeda said. The news dismayed some Illinois officials, but delighted others in Massachusetts, which consistently ranks at or near the top of life science clusters in the country. A spokesperson for the state Executive Office of Housing and Economic Development said there has been no discussion of a tax incentive package associated with Takeda’s headquarters move at this time. John Hallinan, chief business officer at the Massachusetts Biotechnology Council, said incentives often aren’t necessary to persuade drug companies to come here. Takeda is the latest in a long line of life sciences companies that have relocated to the region or beefed up their presence here. The critical mass that’s developed in this state, particularly in or near Cambridge’s Kendall Square, has encouraged even more attention — and investments — from the industry. Massachusetts in 2017 was ranked second among states for biotechnology research and development jobs, according to a report last month by the Massachusetts Biotechnology Council. California, the leader, has 39,203 such jobs, while Massachusetts has 35,768, although California has nearly six times the number of residents. Since 2008, the number of people working in biotech in Massachusetts has grown 28 percent, from 54,280 in 2008 to 69,941 in 2017. Jonathan Saltzman can be reached at jsaltzman@globe.com. Jon Chesto can be reached at jon.chesto@globe.com. Follow him on Twitter @jonchesto.